I observed that when you get yourself disciplined in terms of eating healthy meals, you start craving healthy foods naturally. You no longer have to psych yourself up to eat them. For me, it happens by way of substitution or just enriching what I want to eat with lots of fruits and vegetables. What do I mean? I have a sweet tooth and I have cravings for sweet drinks, especially carbonated drinks and we all know the impact they have on the waist line, skin and health. So you can imagine how pleasantly surprised I was to realize that although I suddenly had a craving for a sweet drink, my mind shied away from the carbonated drink of my preference. I took a moment to determine what I would like that craving to be substituted with and instantly, my mind came up with orange juice and honey. And yes, I got me a glass of honeyed sweetness. And what is the impact of this glass of honeyed sweetness on my health? Lets see. 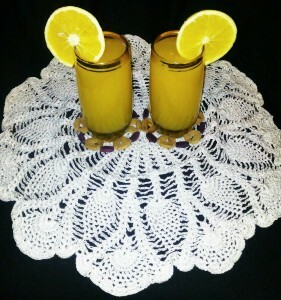 Vitamin C: Is a natural antioxidant. It also helps the body in fighting diseases by developing resistance to diseases such as eye disease, cardiovascular disease and prenatal health problems. Vitamin A: This is also good for my skin as well as my vision. 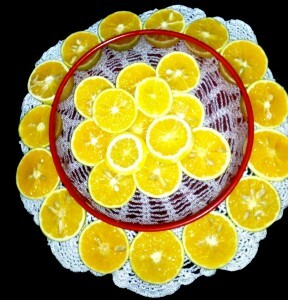 Vitamin B-Co: Oranges are a good source of vitamin B-complex, which my body requires to replenish. Minerals: Minerals such as potassium and calcium are contained in oranges. Potassium I know helps control heart rate and blood pressure and calcium is good for the bones. As for the benefits of honey to my health, that is a blog post for another day. Suffice it to say that I added 2 tablespoons of honey to my glass of chilled orange juice and my craving for a sweet drink was satisfied. Fitness Honey, Juice, Orange. permalink.